EssentIQ TM Offer real-life solutions in real time! Show millennials and other first-time homebuyers how Essent Mortgage Insurance can help them become homeowners NOW so they can start building equity faster. 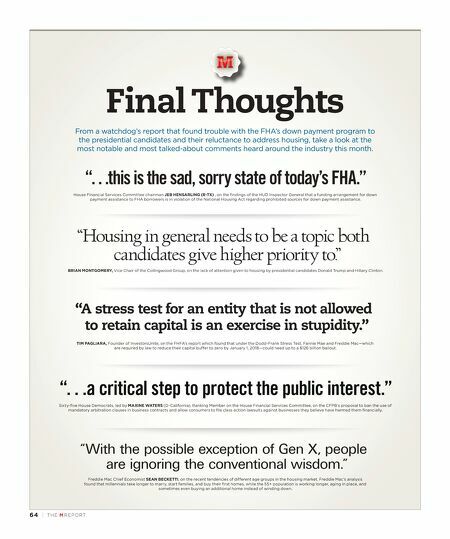 The ultimate tool for Loan Officers navigating the next generation of homebuyers. 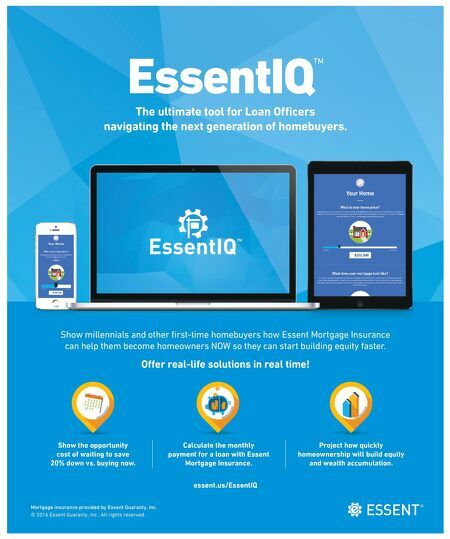 essent.us/EssentIQ Mortgage insurance provided by Essent Guaranty, Inc. © 2016 Essent Guaranty, Inc., All rights reserved. Calculate the monthly payment for a loan with Essent Mortgage Insurance. Show the opportunity cost of waiting to save 20% down vs. buying now. Project how quickly homeownership will build equity and wealth accumulation.